Eric, a 34-year-old firefighter from Chicago, IL, who currently resides in Livermore, CA, was voted out of his merged Vata tribe through an 8-2-2 vote at Tribal Council on Night 22 of Season 38 during the latest episode. Eric -- who opted to continue in the competition on Extinction Island -- assumed he had the majority comprised of seven original Kama members, but a few of his younger allies teamed up to take him out so they wouldn't be picked off later on. "I like Eric. He had a gameplan and he was very consistent. But, like most every person I know, he has a blind spot," Probst revealed to Entertainment Weekly. "One of the tricks of Survivor is limiting the traps you set for yourself with choices you think are foolproof. It's a crazy circle." Eric thought Kama was going to stand tall against the five other players because they had made a pact to make it to the Loved Ones visit together. Eric figured that focusing his allies' attention on such a goal or prize would deter them from flipping too early and convince them to remain loyal until then. "One of the enjoyable parts of watching Survivor at home is you get to judge those choices that players make. It's so easy to critique when you have all the information. Eric just didn't see how he was coming across," Probst explained. Eric's plan certainly backfired, as Gavin Whitson said the Loved Ones visit just reminded him how badly he needs to play the game boldly and win. And Victoria Baamonde and Julia Carter noticed Eric and his buddy Ron Clark were running the show and in charge. Victoria, Gavin and Julia therefore feared taking a back seat to David Wright and Rick Devens, who Eric and Ron had attempted to bring into their majority alliance. "Imagine if Survivor was broadcast in real time and one of the advantages you could find was 'Ask The Audience!' You'd step into the jungle and have sixty seconds to get as much insight as possible from fans watching at home. Fans might have told Eric: 'Dude, you are blowing it!!! Back off!'" Probst told EW. Probst admitted maintaining a large alliance in the game of Survivor these days seems "next to impossible." "I'm sure there are future players reading this and thinking, 'I could pull it off!' And maybe it will happen again. Unlikely, but possible. One of the reasons it's so unlikely is because every player is constantly asking the question, 'Where do I stand in this alliance?'" Probst reasoned. "And no matter how gifted you are socially, it's very difficult for every player in a large group to convince every other player in that large group that they're the most important." Probst added, "Beyond that, nobody in that large group wants to take credit for a blindside for fear of retaliation, but everybody in that large group knows they need a blindside under their belt to add to their resume." Probst said this theory creates indecisive players. 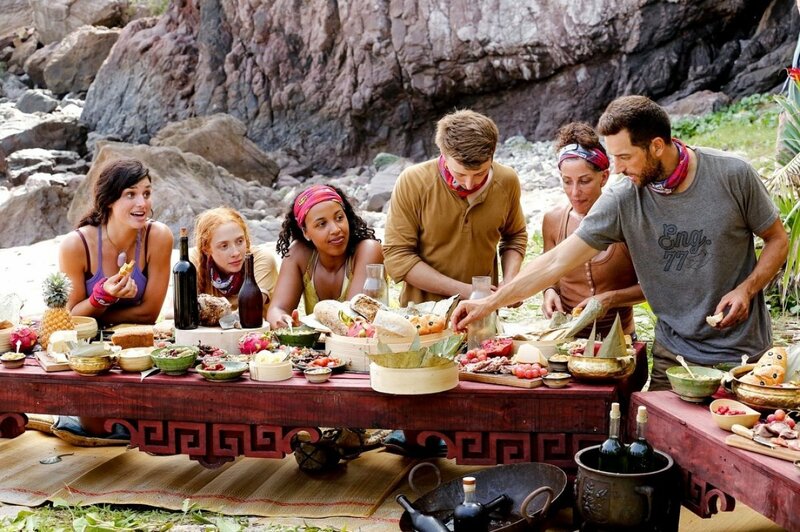 "And before you know it," Probst noted, "that large group is splintering, and a blindside is soon to follow." Survivor's next episode is set to air on Wednesday, April 10, and the franchise's longtime host suggested it will be entertaining and memorable to say the least. "One of the craziest Tribals. Ever," Probst teased.